There are a number of ways doctors can promote their medical practice online. But how do the most successful ones build their practice using online marketing? Well it turns out that, by using a combination of digital media (press) coverage and Google Adwords, our clients have increased their appointments and search rankings by over 300%! 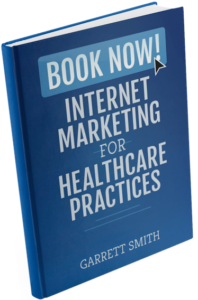 This blog post will explain how these two very different, but powerful, forms of online promotion help healthcare clinics reach a larger audience and increase the number of patients they see. How Do Medical Practices Get Media Coverage Online? What is meant by digital media coverage online? Digital Media coverage is Earned Media. This means that the publicity of your practice is gained through promotional efforts, instead of paid advertising. Medical practices promote themselves through local and national media companies online and through industry bloggers and analysts to: improve their brand, promote their services, and increase their search rankings. All of these efforts are done to get the attention of would-be patients, who may (eventually) be looking for medical treatment – or know someone who might. The benefits of this type of marketing doesn’t easily go away and it has a cumulative effect over time. What that means is that once a quote, a story, a content piece, or a link back to your practice website are listed on another website, it stays on the internet nearly indefinitely and continues to work for you – long after you’ve last touched it. This is a good thing. It means that it will be difficult for competitors to catch up to you if you get a head start. The first way successful practices get media coverage online is to research where competitive practices (or otherwise highly successful practices) inside and outside of your local area are appearing on third party websites throughout the internet. To do this, simply type the name of a competing local practice (or the name of a practice + location) into Google. By doing this, you’re going to run into websites that have propensity to include content that you can provide. After all, they already have accepted it from other medical practices. Identify a topic appropriate for that website that you could produce content for (refer to your healthcare content calendar to guide you). It could and should include different types of media when possible: it could be a video interview or a written guest post for example. Find the contact page on the website, and pitch your topic as an idea to add to their website. (Bonus Step): Contact them several times to increase the chances of them accepting and placing your content. Plug: When we do this for our clients, we have software that will automatically provide these competitor links. Once you’ve contacted all of the websites that your competitors (or ideal practices in other markets) have promoted themselves on, the next step is to get your content placed on news organizations, analysts and bloggers websites that cater to your targeted topic. Keep in mind that these don’t necessarily have to be healthcare publications. To do this, type in your keyword + news, or your keyword + articles into Google. Find websites that have content on the services, treatments, and conditions that your clinic provides. Identify whether or not the website is likely to include your content. As mentioned above, find the contact page, and pitch them on your story, preferably guided by a content calendar so you can best orchestrate your entire online marketing efforts. Though NBC Healthcare News could potentially include your article or quote about the ‘latest in Hip Surgeries’, it’s going to take a lot longer to develop a relationship with the editors and writers then Arthritis-Health.com. It’s best to go for low-hanging fruit first, so that you can build up the attache of the practice and thereby make it more likely you’ll get attention from larger news organizations in the future. Don’t overlook your local news stations and newspapers to promote your practice online. The audience they have may not be as large as other publications (which does more for your SEO), the audience they do have is also more likely to take action. Note: I am not talking about buying ads on their website, which is typically a waste of money. When it comes to healthcare and medicine, reporters are looking everyday for authoritative sources that increase the value of the stories they are writing, or to produce a featured piece of content on their newscast. Often ignored, this is a highly effective strategy that will help you pull ahead of competitors who rank for keyword terms that you want to rank for. The more news related websites that reference your content and website the more authority search engines like Google give to your website’s pages, causing them to rank higher. Contact the editor, or contact someone in the writing department. Pitch your story and see if they would accept content from you. Plug: When we do press outreach for our clients, it’s important to take as much of the work out of the editor’s hands as possible. That means connecting the dots for them in terms of why your story would provide information their audience is looking for. How do Medical Practices use Google Paid Advertising? Google’s paid advertising is called “Adwords” or “Google PPC,” which stands for pay per click. Successful practices create an Ad on Google based on relevant keywords or healthcare marketing ideas that patients are using when trying to find information about their condition or treatments for their condition; and allows you to bid on them so that your advertisements appear at the top of Google search results. Paid advertising online is available on thousands of websites and business directories. Though that can be part of an effective strategy, it’s safe to say that there is a limit to your budget. It’s far better to place your money where the majority of patients are going (70% of the U.S search market. ): Google. For example, if you’ve just launched a new treatment page on your website, it’s very unlikely you’ll rank highly for it in Google right away. In order to get search traffic for that page you can pay to be at the very top results within a few hours. Unlike the slower-and-broader (but highly beneficial) practice of soliciting content to third party media and news websites as described above, using Google Adwords is immediate. Better yet, it can be targeted globally, nationally, regionally, or in a state or city. As mentioned above, the largest audience online (70% of all search traffic in the U.S.) goes to Google when they are looking for information about a topic. Google Adwords allows you to create device specific ads, such as those meant to be displayed on a mobile phone. By using Adwords, you’re giving them an option to click on right away on your website to learn about their injury or condition, and since you are also able to provide related treatments they are likely to prefer to contact you directly. Googles auction system will display your ad at the top of the search results page provided your bid price is competitive. But you don’t actually pay your bidded price until searcher clicks your Ad. If you’ve setup optimized Ad campaigns the bid cost per click is immaterial compared to what the patient visit is worth; even if that patient doesn’t end up requiring an expensive treatment. It’s very common (even in competitive areas) to find keywords worth bidding on at a cost of less than $5.00 a click! Setting up Google Adwords is simple and free. Ongoing optimization of your advertising campaign requires time and money. Before you log into Adwords for the first time note what pages on your website are worth the most to your business, compare them to where they rank in the search engine. Are they on the first page, second page, not listed at all? Pro Tip: You can also run ad campaigns against patients that are searching for your competitors by bidding on keywords associated with their brand. The strategy here is to optimize low ranking / high value pages and while you are running Ads for them, search optimize those pages so that they show up in the top 3 spots organically…. repeat that cycle until you get all of your pages securely in the top spots. If you don’t have access to a keyword planner tool, you can simply use Google (or Youtube, Reddit, Bing, etc. To do this type in terms that you think your patient might be searching for. Note the terms that Google suggests during auto-complete. Note the terms that appear in the titles of the organic web pages. Note the terms that appear at the very bottom of the search results page. Compare the amount you want to spend per month (per day, per week) to the number of keywords you want to rank for, and the bid amount required to keep your ads showing on the first page. (Example: You’ll need approximately a $1,200/month budget, to target (20) keywords with an average cost of $2.00 per click). If you’re not sure what to bid per keyword, you can set your max CPC to $1.00; but early on you’ll want to check on your ads frequently to make sure your competitors aren’t out-bidding you for first page Ad placements. Once you’ve ran your ads for a month or two you can tweak this budget (and even shrink it) depending on the cost of your keywords, and the success you have converting new patients from the Ads targeting those keywords. Once you’ve done the preliminary work necessary to manage your campaign, you’ll want to organize it in Adwords. This means setting up your Adwords account, creating distinct ad campaigns and ad groups (each with keywords relevant to your ads). Finally, you’ll use Adwords to create ads with copy that is relevant to the keyword and landing page you’re targeting. What Makes Combining Adwords With Press Outreach in Healthcare So Effective? Though these two promotional strategies are often thought of as separate, combining them makes it very difficult for competitors to replicate… why is that? There are a lot of moving parts and pieces. Coordinating press outreach to work in conjunction with your Adwords campaigns is a foreign concept to most medical (marketing) professionals. This means that other practices in your area will be spending more time, and more money with less results. You keep your competitors on the defense until such time it is impossible for them to catch up. This means, while you are steadily moving your website’s pages to the top 3 spots on Google, they’re playing catch up to outperform your Adwords campaigns. Once they’ve gained equal footing with your Google Ads, your search rankings will eventually have increased enough such that you no longer need to spend money on that Ad campaign. You can then move onto the next set of search terms – create a new campaign – optimize those pages – and so on until you’re ready to open a new location!